Huh? The Chrysler 500? Whatzat? When I heard that Fiat was going to purchase Chrysler, I was a little confused. What did the Italian automaker hope to gain from buying the weakest of the three domestic car companies? The best that I could come up with was that it would give Fiat a dealer network and some assembly capacity on this side of the Atlantic. I'm still not completely certain. Regardless, Chrysler/Fiat's future product plans have been announced, and the only Fiat badged models apparent are the tiny 500 (seen above), and a "large commercial van" - probably Fiat's approximate equivalent to the Dodge Sprinter (now back to being a Mercedes Sprinter, thus a competitor), the Ducato. All other Fiat-sourced models will be Chryslers, Dodges, or Jeeps, probably completely unlike their Italian forebears in style or form. 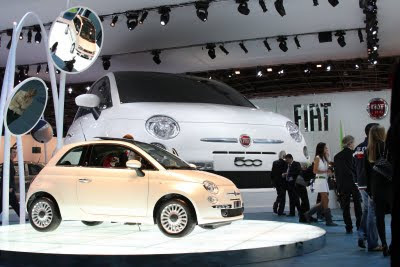 That leaves the 500, which will be built in Mexico (instead of Poland, as European 500's are), but may be badged as a Chrysler when it goes on sale either this year or next. Here's where they lose me. There's no Chrysler tie-in for this vehicle. It doesn't look like any current Chrysler in any way, and Chrysler doesn't have a model like this in its heritage. Chrysler isn't known for small cars, unless you count the couple of years that the Canadian-market Neon was branded as a Chrysler. They probably hope that you've forgotten about that anyway. Frankly, the majority of the kind of buyer that would be interested in what is effectively going to be a premium subcompact along the lines of a Mini are savvy enough to realize that this is a Fiat - and probably young enough to be blissfully unaware of just how bad Fiat's products were the last time they were sold here. Not only that, but if you're expecting customers to fork out extra for a badge, wouldn't you think that the "Fiat" brand would carry more intrigue and potential cachet than "Chrysler"? My preview of BMW's very impressive ActiveHybrid 7 (the hybrid version of the 750Li) can be found here at Wheels. ...they complicate what should, or even used to be, something simple. it illuminates a warning light on the dash. Much more effective than squeaker tabs, the circuit "latches" once activated to prevent the light flickering on and off as the pad touches the rotor. So far, so good. This is where it all goes wrong. 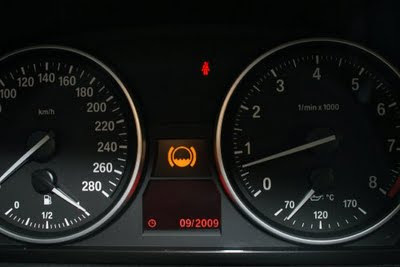 In older BMWs, you'd replace the pads and the sensor (sensors are about $35 each, no big deal), then you leave the key "on" with the engine off for 10 to 60 seconds to reset the light. Not this one. In this version, the "E90" model, things are a little more complicated, and don't look for the procedure in the manual or in the Mitchell or Alldata information most shops use. You won't find it. - insert key fob into dash receptacle. - push "Start" button, but do not have your foot on the brake at the time (this puts the car in "run" but not running). - wait for "Service" warning message to go out in message centre, replaced by the clock and odometer display. - immediately push and hold "BC" button on signal stalk until "Service" indicator returns. - use up and down toggle switch on signal stalk to highlight the desired service reminder. - push and hold BC button until "Reset" appears in display. - release and reapply BC button until a rotating clock symbol appears and then goes out. - you may now exit the menu, turn off the car, or restart it as desired. Test drive it to ensure that the service warning is actually is out. My look forward to Kia's upcoming Cadenza sedan can be found here on CanadianDriver.com. 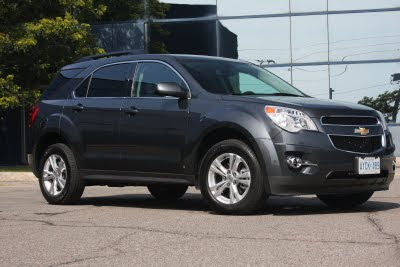 Find my latest published review, Chevrolet's 2010 Equinox, here at Wheels.